With the proliferation of multiple platforms and bring your own device (BYOD) in the enterprise, administrators find full MDM solutions to be difficult to deploy and maintain. 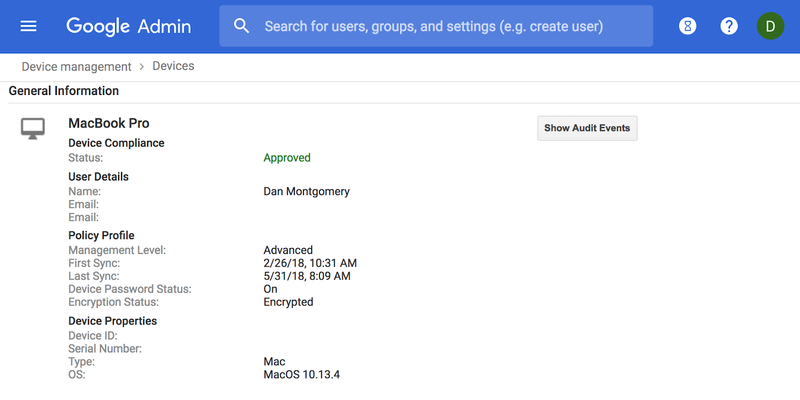 Endpoint Verification offers a lightweight, easy-to-deploy solution to desktop device reporting for GCP, Cloud Identity and G Suite customers. With Endpoint Verification, enterprises get two key value adds immediately. First, you can now build an inventory of devices within the enterprise that access corporate data. And second, with Endpoint Verification, admins have access to device information including: screen lock, disk encryption, and OS version. For information on how to deploy Endpoint Verification, please visit the help center. For organizations that would like to try this out, a free trial of Cloud Identity is available here. While corporate devices are the key to employee productivity, they can also be the weak link when it comes to application and data security. Today we are introducing Endpoint Verification, giving admins an overview of the security posture of their laptop and desktop devices. Having that inventory of what computers employees are using provides valuable information which the enterprise can use to maintain security. 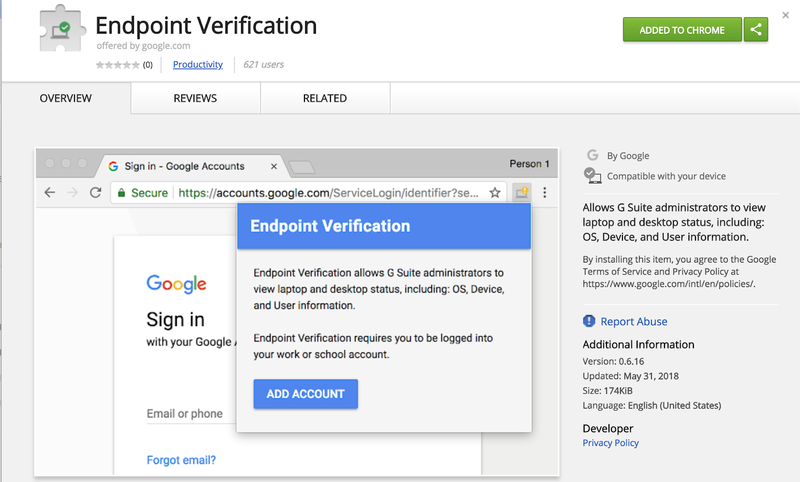 Available to all Google Cloud Platform (GCP), Cloud Identity, G Suite Business, and G Suite Enterprise customers, Endpoint Verification consists of a Chrome extension and native app and is available for ChromeOS, macOS, and Windows devices.